contest contests indiblogger skyscanner smart travel smartness Now, travel smart! This blog post is written for the Travel Smart with Skyscanner contest powered by www.skyscanner.co.in and Indiblogger.in . SMARTness has many meanings depending on the context in which it is used. Lets talk about smart travel. Since childhood I have a strong liking for a place called Malaysia whose tourism has a tagline - Truly Asia! Now, having said that Malaysia is my dream destination, I will have to reach that place without any hassle. In short how should I travel smartly to this dream destination of mine. Well I would be sharing my idea of a smart visit/travel to a beautiful country like Malaysia. Malaysia has been a dream destination for many people too. Its been said that Malaysians are kind and generous and a chunk of people there belong to India. A few of my cousins have settled in that part of the world. What are the basic things that you do while travelling out of your country to an alien country? Research! Research! Research! Now Google is your almighty saviour who blurts out minute details about any country in this world. You jot down different exciting things about that country. The things which are popular in that nation - food, culture, places to visit, nightlife, historic importance. Of course, these things are done by anyone. Even your next door neighbour would be doing the same thing. Smart people do not do what others do! How to reach there? Well these days lots of travel websites allow you to book online flight tickets at a cheaper rate because of discounts and offers. You need to navigate through the website in such a way that it would compare the flights and their cost. So you should able to select the best available option that too at an effective price. There should be an online travel guide who would provide you with important details. These days many folks go for travel packages which involves many exciting features by the travel agents who ensure that their customers have their best time out. That's one of the option which would contribute to your smart travel. 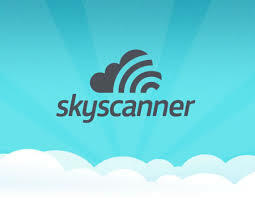 Skyscanner is an online website which provides you with an instant solution for travel issues. Its algorithm compares over 1000 airlines and online travel agents to find the best for you that too by spending less that what actually you would be spending for! So before moving to any place outside our home , we would like to ensure that we find a place where we would spend our time. So, the next step that contributes to a smart travel is to find a best hotel with the best facilities. So far we have been talking about smart travel, but when it comes to finding out a place to cool our heels at our dream destination, many applications and travel websites comes handy! These are likely to be featured in most of the travel package but also they charge a lot! So smartness is when you have an option to select the best stay for you with click of a button. Skyscanner is one such virtual abode where you could select from a variety of hotels ranging from your needs - from luxury hotels to budget hotels! Now thats what is called BLISS! So this is the SMART way to reach to a travel destination! Apart from this what would you do when you reach the Airport. Would you want to shell out lots of money by using services of the local cabs there who charge relatively higher. Now, you have covered some miles over the atmosphere via some airline which offered you great facilities at a reasonable cost. You have landed at your dream destination's airport! Next what! You need to reach your hotel. Simple enough, SMARTness again! Input your details and search for yourself the best available option. READ best available option. Skyscanner does allows you to do that. This is the 'bestest' and the smartest thing which you could ever do! Now you are getting everything at the click of a mouse button,would you even like to think again? No thinking, only clicking! Job done! Now this is what you call smartness! I have already booked my tickets from SkyScanner! Malaysia - here I come to witness whats truly Asia! So when you reach your hotel, you should be right there on spot! No time wasting! A mobile application would do good that would actually give you feed wise information about the best destination on the basis of GPS tracking. So on whichever part of the world you are in, you would be having knowledge about the location. You can feel like a local even at that foreign land! All thanks to technologies that has made life easier. So you could know whats good and whats not good! I have lots of plans already and one thing I can advice you is to be smart when you plan a travel. 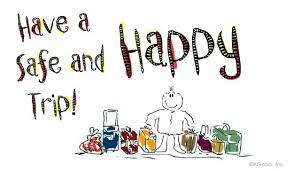 Everyone wishes a happy and a smooth travel.Be Smart,think Smart! Happy Vacation! Take Care! That's pretty cool sharing! I also agree with Anita, research is one of the most parts of any successful travel. As well as if we share our thoughts with believable persona's they also provides as valuable solutions. Howe this information leads me to my New York Holidays trip. Thanks for this precious allotment!